If you look back at the top grossing films in recent years, you’ll notice an interesting pattern: comic book franchises have emerged as a powerful cultural force in the mainstream and show no signs of slowing down. Spider-Man. Batman. X-Men. The Avengers. Chances are you’ve probably watched one of these comic books on the silver screen. With the success of these franchises, this has introduced more fans to the comic book genre. In response to this, comic book websites have stepped up to fill this massive fan interest to help you stay up-to-date on the latest developments, rumors, and commentary on your favorite superheroes. Whether you’re into Marvel, DC Comics, or something else, there’s likely a site catered specifically to whatever suits your interests. Earlier this month, we asked you for your picks for the best comic book websites on the Internet. After selecting five nominated sites, we put them to the vote with the community. After a total of 1,662 votes were cast, we now have our winner. 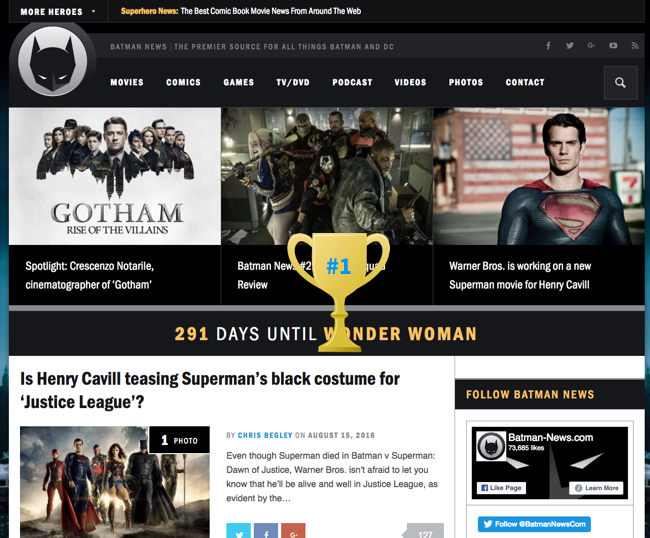 With 33.8% of the vote (562 votes), Batman News is your pick for the best comic book website! In second and third place, we had DC Comics and SuperHeroHype which finished with 351 and 297 votes, respectively. 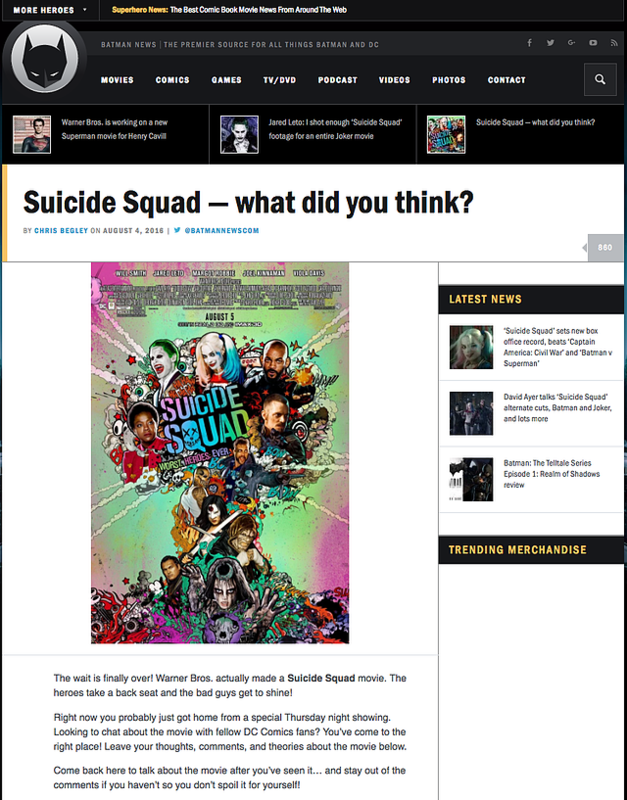 Congrats to Batman News and the nominated sites! How many people are on the Batman News team? I cover all of the news, and I have a team of 6 contributors (Andrew Asberry, Brandon Mulholand, Brian Warshaw, Elena Carrillo, Jay Yaws, and Josh McDonald) who write comic book reviews for all of the big Batman titles each week. Sean Gerber and Andy DiGenova host the Batman News podcast, where they break down all the big Batman and DC Comics movie news. When did you first realize that this was going to be more than just a "hobby"? Despite getting over 2 million hits each month, Batman News is still just a hobby. I work full time as a software developer, but all of my free time goes into the site. It's like having two full-time jobs, but this one is a ton of fun! I realized it was going to be bigger than I ever could have imagined when the site got over 1 million hits in May 2011, after just being 8 months old. Chris getting ready to go to the Batman v. Superman premiere in New York. I think my passion is what made Batman News so successful early on. I was obsessed with delivering the news to fans as quickly as possible. I started Facebook and Twitter pages to help reach fans who were on social media, but I’m very proud that I’ve never paid a dime to gain followers or get extra traffic from Google. All of the growth has been 100% organic. What are you working on recently that you're excited about? 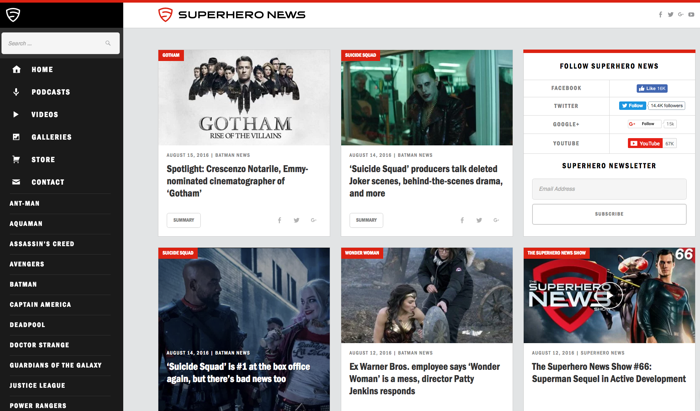 My passion is building beautiful websites for superhero fans, so when I saw how big Batman News had become, I decided it was time to cover the entire superhero world. I launched Superhero News in 2015 to cover Marvel, DC Comics, Star Wars, and everything in between. Superhero News produces a weekly YouTube show as well, and it has a very loyal and passionate fanbase. I started Batman News in 2010. After we got to the end of Christopher Nolan's Batman trilogy, I thought that Batman would be on the shelf for a while. 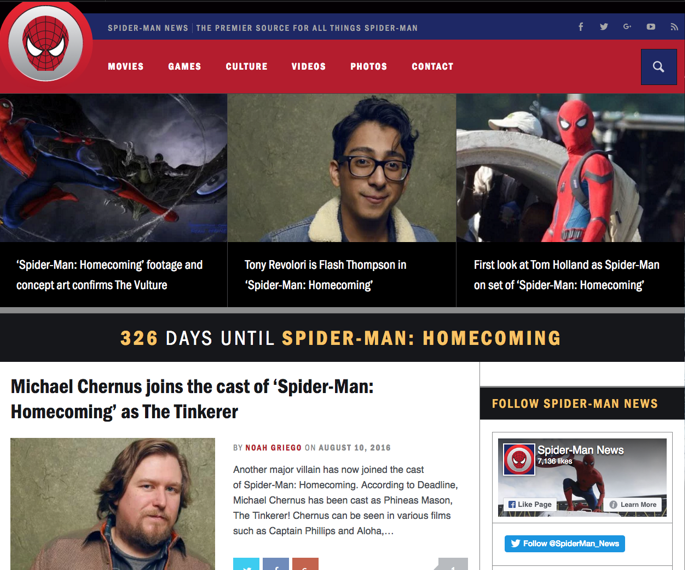 To keep me busy, I decided to launch Spider-Man News in 2013 to keep fans updated with all the latest Spider-Man movie news. I was not expecting Warner Bros. to jump back into the Batman world so soon. Batman v Superman was announced just a year after "The Dark Knight Rises" had come out. Between Batman News, Spider-Man News, and Superhero News it's a lot of work to juggle, but I've been able to make it work. And they all use Disqus! What stories lead to the best discussions? The casting announcements are definitely my favorite stories to cover because of all the great discussions they bring. 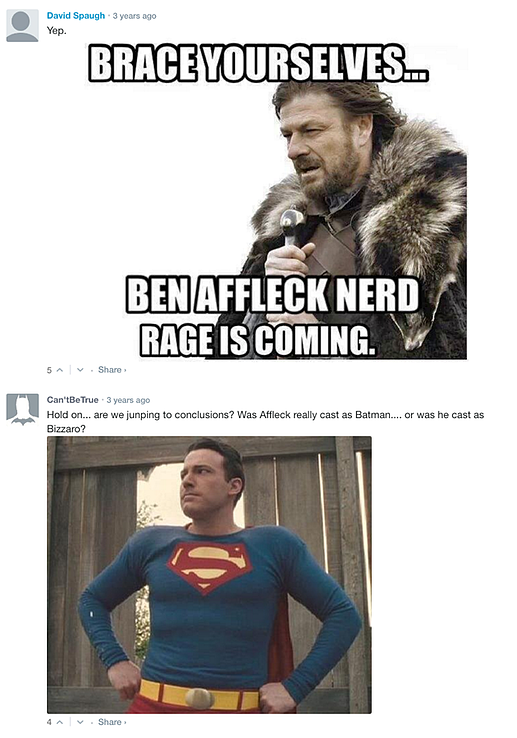 Fans were not happy about Ben Affleck being cast as Batman, and there were some funny GIFs in the comments section of that article. But many fans quickly changed their tune after we saw pictures and videos of him in action. Let’s talk about the Batman News community next. Suffice to say, the community really stepped up during voting! So, my question is: What's your secret? How have you grown your audience? I wish I knew the secret! I think it helps that Batman News covers the most popular superhero of all time. I'd like to think that the website's clean design, and my passion for the content I cover resonates with fans and that's why they keep coming back and commenting. I also try to ask a question at the end of my news articles to get a discussion going in the comments. One of the things I love about the Batman News community is that the writers are a regular presence in the comments. Why is interacting with your readers important to you? Community is very important to me. Everyone who contributes to Batman News are just huge fans who love Batman, so being able to talk about our interests with others is awesome. I love seeing familiar faces... well, profile pictures, in the comments section. The community has also taught me what they like, and what they don’t. I try to cover everything Batman, and I look at the traffic stats and how much conversation is going on for a particular article. If something isn’t getting traffic or a good discussion going, I may not cover that topic as heavily as I do something like the movies. Because this is a hobby I work on in my free time, I have to pick and choose sometimes, so the community helps me decide what they’re into and what they aren’t. Why did you decide to use Disqus (vs. other available solutions)? Some of my favorite websites use Disqus, and I really enjoyed using the service. I would be annoyed if I went to a website that didn't use Disqus, so it was an easy choice for me when I decided to launch my own websites. The competition just doesn't stack up. Favorite Disqus feature? Is there a feature you wish Disqus had? My favorite Disqus feature is the notification system. Since a lot of the websites I read also use Disqus, it's easy to get notified of replies to comments I've made elsewhere. I loved that I just had to log into Disqus once, and then would be able to leave a comment on any of my favorite sites that also used Disqus. You’ve been on Disqus for nearly six years now. Do you have any pro-tips for publishers new to Disqus? My pro-tip to publishers would be to just use Disqus! It takes all of the strain off of your server, and your users will thank you for it. "Just use Disqus!" is a comment you'll see often in the comments section of websites that use a different solution. Ok, last question. The most important one of all: Top 3 Batman movies of all-time and why? The Dark Knight (2008) This is an easy choice for #1... it's not just the best Batman movie, it's the greatest superhero movie of all time! The Dark Knight Rises (2012) I started Batman News in 2010 to cover The Dark Knight Rises, which was a worthy follow up to The Dark Knight. The ending alone makes it my favorite Batman movie, even if it's not the "best". Batman Returns (1992) I have to give props to the original Tim Burton and Joel Schumacher Batman movies. They are a big reason why I loved Batman growing up. 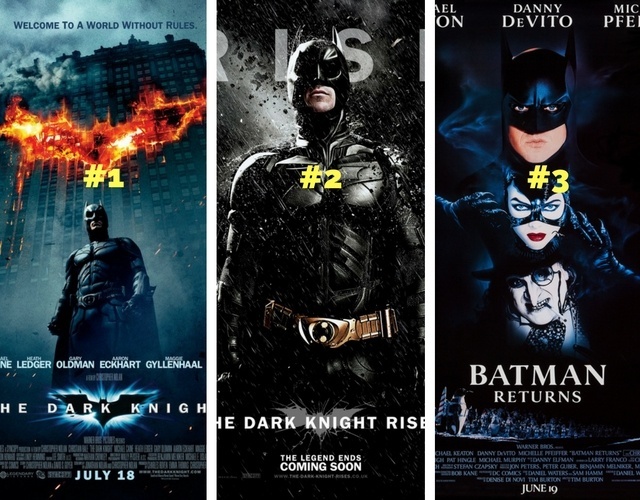 Of the original 4 movies, Batman Returns is my favorite, so it gets the #3 spot. Thank you Chris for the interview! We hope you enjoyed this inside-look at Batman News and if you’re new to the site, I encourage you to go check it out. Stay tuned for our next poll and be sure to subscribe to this blog for the latest updates. The Batman News team will now take your questions! 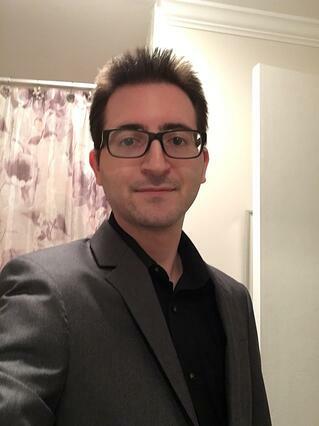 I’ve invited Chris and the rest of the Batman News team to stop by to answer your questions about the site, what’s in store for the future, or anything you were curious to learn more about them. They will pop in throughout the day as questions get posted so, ask away!